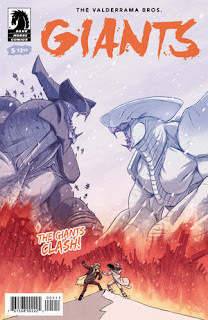 Giants comes to a conclusion with this dramatic fifth issue, wrapping up what has been a sensational American debut for writer/artists Carlos and Miguel Valderrama. Gogi and Zedo used to be brothers; now they are on opposite sides of a fight for supremacy, while two massive giant monsters challenge one another overhead. This is a tremendous climax, working to perfection on both a visual level and an emotional one. It is testament to the Valderramas' talents that the issue feels simultaneously epic and intimate. The stakes and life and death, yet when all is said and done it's ultimately just two boys having a pitched fist-fight. Giants #5. Dark Horse. 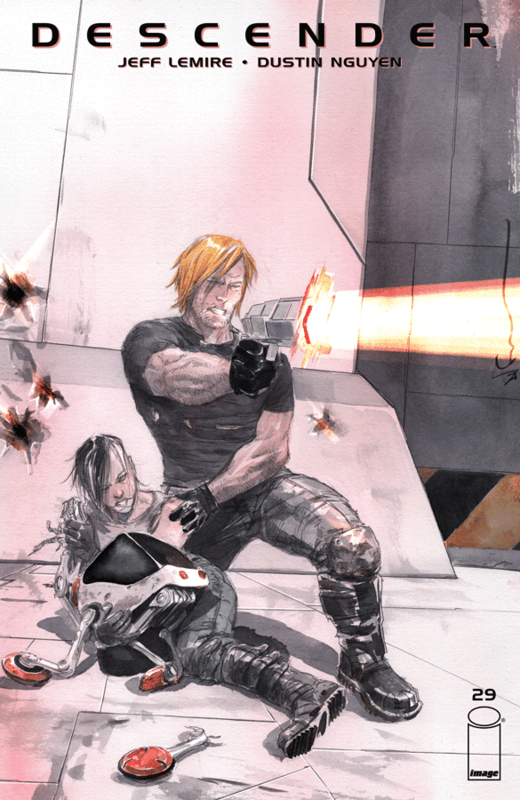 Story and art by Carlos and Miguel Valderrama. 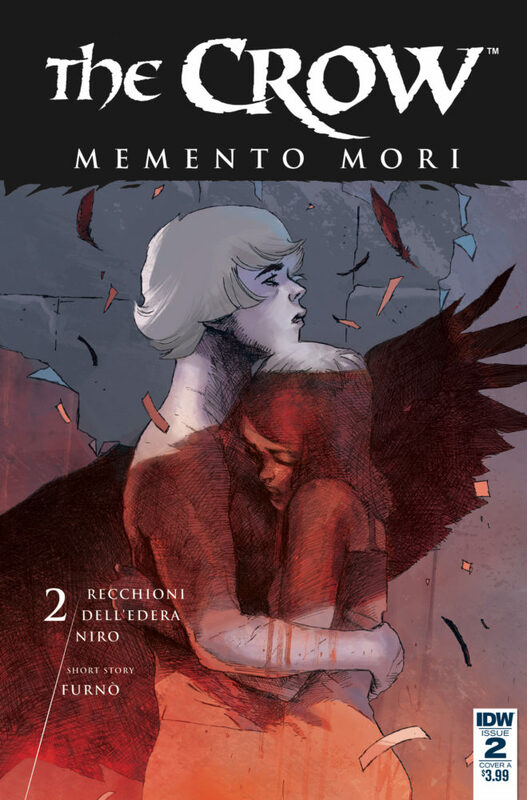 Under the cut: reviews of The Crow: Memento Mori, Descender, and Superman. IDW. Written by Roberto Recchioni. Art by Werther Dell'Edera. Colours by Giovanna Niri. Backup strip by Davide Furno. DC Comics. 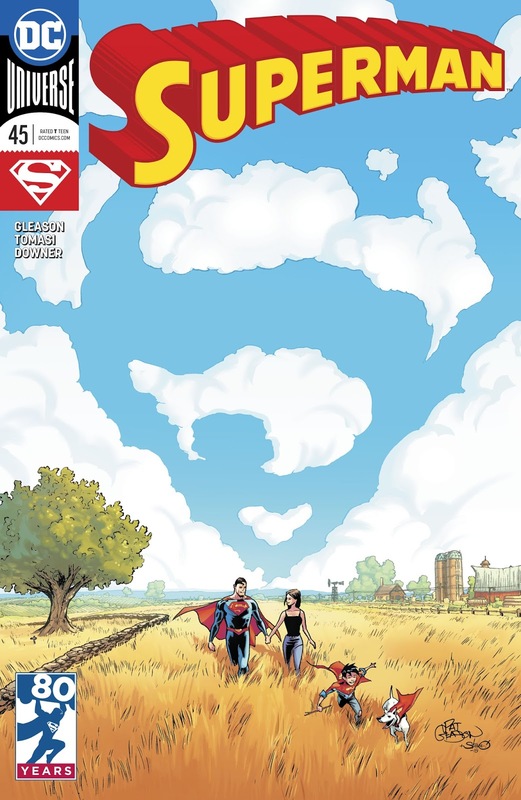 Story by Peter J. Tomasi and Patrick Gleason. Script and art by Patrick Gleason.